Sam and the 2/1st get paid at last! But the pain-in-the-rear new Colonel just carries on giving them gyp – even when he praises them! A hundred years ago this week… the first phase of the German Army’s Verdun onslaught, begun on February 21, petered out around Douamont, held up by snow and the French 33rd Infantry Regiment (27-9). This allowed the French to bring up 90,000 men and a lot more guns and ammunition, enabling their artillery to repulse the German second phase attack at Poivre Hill (March 4) and east of Vacherauville (5) – casualties in the tens of thousands already. In the North Sea, German raider Greif and British cruiser Alcantara sank each other (February 29). Of wider strategic significance, especially to America, the German Navy declared the extension of its submarine campaign – according to different sources, this was either just to include “defensively armed merchantmen” or, in fact, everything that sailed, no limits (March 1). Further south, the Russian Army developed its push toward Trebizond on the Ottoman Black Sea coast by landing fresh troops at Atna (March 4) and, separately, occupied Bitlis, eastern Turkey, mainly through its 1st Battalion of Armenian volunteers (avenging the 1915 genocidal attack). And in Africa the Allies had two successes when the German Government of Cameroon surrendered to the British and French (February 28) and the British began an advance towards Mount Kilimanjaro in German East Africa (March 5; now partly in Tanzania, plus Rwanda and Burundi). 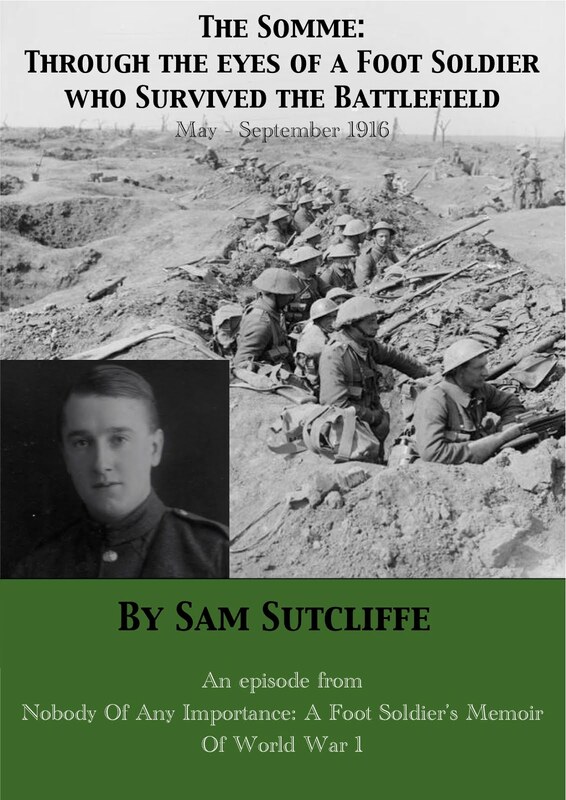 Last week, Sam wrote about the general sense of comradeship the 2/1st’s remnants shared in the aftermath of Gallipoli – and the threat to it immediately perceived in the appearance, straight from London, of a new Colonel who soon elbowed aside the beloved CO who had led them through their first months of war, Major “Booth” (my father’s alias for Major Harry Nathan, see details in footnote last week). ‘We drew our first pay for a long time*, followed shortly by our first ration of fresh meat (tough, probably camel, but a step in the right direction). In fact, we had started to achieve something towards becoming cleaner and healthier… when along comes this Colonel** to take over and humiliate our guvnor. A parade – us, mind you, ordered to fall in, stand to attention, at ease, and all that stuff! – was ordered. Groups representing former Companies*** lined up, an officer standing in front of each. We Signallers stood together and found, for the first time, that we too had an officer, a slick, young man in light breeches, soft cap tilted a little to one side, a cane under his arm. Our gallant Major did indeed stand before us all, called us to attention and then turned and waited as, on the lovely Black Bess****, the new, unwanted Colonel rode forward. The final degradation came when our Major saluted the Colonel, then strode away out of our sight. All this seemed unreal… taking place on a flat, sandy waste under a hot, African sun, like a scene from a Foreign Legion yarn in one of the weeklies I’d read before I enlisted. Formalities over, astride the big, black horse, the Colonel addressed us. The Battalion had acquitted itself well on active service, he knew, but now the time had come for reorganisation, for training in up-to-date skills of warfare. He had been deputed to originate and carry out the new programme and felt sure that all would co-operate… And so on and on while the resentment boiling up among those glaring at him must have been almost visible like a green cloud ascending from the tops of our heads. That blackballed our little group to the rest of the men – ensured that our name stank among them for good and always. Had the Major made such a statement we could have strutted around with haloes illuminating our bonces but, coming from the unwanted Colonel, it infected us like some dirty plague and separated us from all but the most generous among our former good friends. * Their first pay since before Gallipoli (September, 1915). ** Almost certainly Lieutenant Colonel A.C.H. Kennard, as detailed in a footnote to last week’s Blog (No. 85, February 21). *** Meaning that when recruited in September, 1914, the Battalion’s eight Companies comprised around 125 men each. After Gallipoli, with numbers reduced erratically across the Companies, they averaged 31/32 men each. **** A stallion! No, nobody ever heard an explanation for the misnomer, but no doubt Kennard got the blame and the mockery (as well as Ted). A hundred years ago this week… after a winter of lesser (though deadly) skirmishing on the Western Front, to the surprise of the French high command, a massive German artillery bombardment began the Battle Of Verdun (February 21 – official ending December 18). In the first few days, the German Army advanced quite steadily, at one point taking the fort at Douamont when driven on by the misplaced “friendly fire” of their own artillery and finding the expected garrison all but non-existent (Douamont village now has a population of six and an ossuary containing the bones of 100,000 unknown soldiers). But, by the end of the week, General Pétain had been summoned to the scene, decided to concentrate on defence and halted German progress – assisted by a thaw rendering hard ground swampy. First week casualties: French 24,000, German 25,000. Elsewhere, the significant action proceeded much further east and south. The Austrian Army occupied Alabania’s then capital, Durazzo (February 27); the long Russian Caucasus campaign approached Trebizond on the Turkish Black Sea coast, while their West Persian inroads continued as they took control of a couple of mountain passes and the towns of Kashan, Ispir (both 26) and Kermanshah (27); Ottoman forces captured two Saharan oases, Farafra and Dakhla, in south-western Egypt (27); and the Action At Agagia, near Egypt’s north-western coast, saw a British/Sikh/Australian/South African force defeat Senussi tribesmen in one of the last cavalry fights anywhere (26; the Senussi were allies of the Ottomans and Germans; they suffered about 500 casualties to the British-led army’s 184). Last week, Sam and pals completed their enormous masterpiece al fresco desert latrine, open to observation by the sun, assorted passing camels, and passengers on the adjacent Nileside railway. Further, on the family front, his beloved older brother Ted rejoined the Battalion with his Transport section – actually pro tem wranglers/grooms to the officers’ horses – and Sam found himself embarrassed by the authority of his Lance Corporal’s stripe compared to his bro’s freebooting style. ‘A previously unsuspected tide of comradely feeling had recently manifested itself among all ranks; a sort of reaction to recent experiences, a feeling that we had all endured many risks and hardships together, that we had been true to the volunteer spirit and stuck it out when so many others had managed to get away from it all. All men differ in the degree of sincerity with which they express themselves. The human animal is, perforce, selfish because the instinct to survive, under test, masters all beliefs, hopes and emotions. So this feeling that we had become a band of brothers*** – that we 250**** comprised the valuable essence squeezed by harsh experiences out of the former one thousand – while warming and heartening, was subscribed to tacitly en masse and never individually declared. A hub around which, or whom, the consequent accumulation of loyalty could revolve had to be agreed upon; without discussion, dissent – or, indeed, any actual voting – we elected the Major, pride of all ranks. And Major Booth*, a junior officer a year ago, was indeed now officially in charge of us, since all of more senior rank had vanished, in most cases for reasons unknown to me and probably to all of us. In the early days back home and on Malta, his ability to learn, to practice what he’d learnt, and to lead men stood out above that of all others and quick promotion to Captain’s rank followed. Whereat, being now in charge of a Company, he imposed on its members a discipline sterner than that applied in any other – and for this, men worshipped him, because he tempered power with justice. An average officer would not investigate a charge brought by an NCO against a Private, but would listen to the charge, then listen to and, usually, disregard the accused sinner’s reasons or excuses, find the case proven, and pass sentence. In our hero’s case, though, clear enquiry would be made. 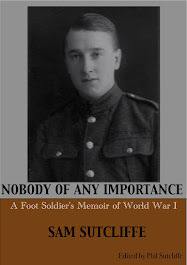 The NCO would have to prove his case, or not. But if the charged man were then found guilty, he’d get it right in the neck. In the nick as well. The good officer’s fame spread throughout all Companies and most men wished they belonged to his superior cohort. His men’s buttons and the brass on their equipment shone more brightly than theirs, their deportment on parade, even the horse the Major rode on long marches, made the rest of us look rather lacking and down-at-heel. 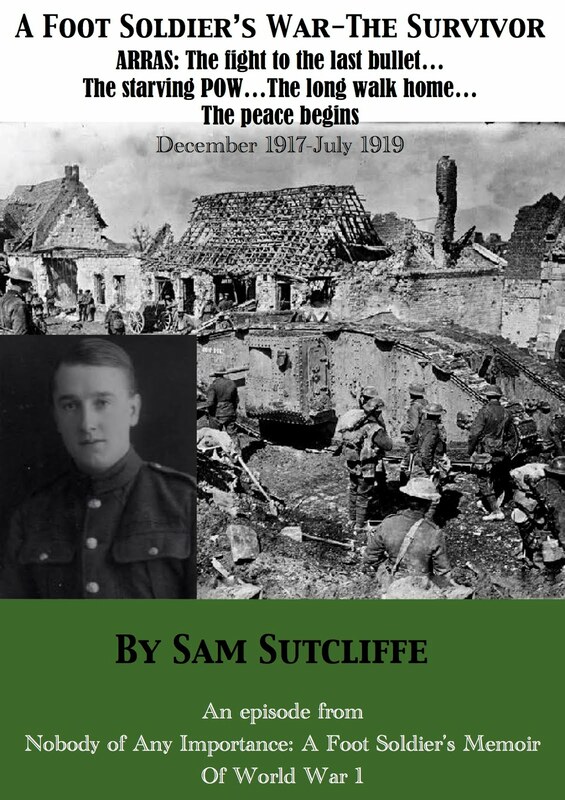 Later, in action, his fearless way of walking upright while surveying and inspecting the front line in full view of the enemy was very impressive – some said foolhardy, but in the men’s eyes it was great and it did wonderful things to our morale. And then the Major had brought us safely out of two evacuations***** and had supervised the setting up of our new camp home. But, rightly or wrongly, the rank-and-file chaps felt that the officers in the upper bracket generally, and perhaps class-consciously, despised this man now in command of our small Battalion (as we still liked to call it). He was a Jew and a year or more in the hotter climate had darkened his complexion so that, had he donned the robes popular in Egypt, his appearance would have matched that of any other Semite******. ** My father refers to the notorious blizzard which hit Gallipoli at the end of November. *** Sam wrote this in the 1970s, long before the excellent WW2 Steven Spielberg TV series had the unfortunate side effect of devaluing the phrase to cliché. **** I gather he refers to 250 men here, rather than the 200 he mentioned several times a little earlier in these chapters, because some wounded and/or ill men had returned to the Battalion during their, to date, six weeks in Egypt. 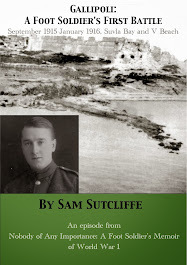 ***** Suvla Bay in December, 1915, and V Beach, Cape Helles in January, 1916. ****** Semite: while “anti-semitic” has come to mean “prejudiced against Jews”, my father used the root word accurately because it means “a member of the group of people who speak a Semitic language, including the Jews and Arabs as well as the ancient Babylonians, Assyrians and Phoenicians” – source Collins Concise Dictionary Plus.